The chosen theme ‘Lines ‘» made me think immediately about it. From Yann Arthus-Bertrand’s book ‘ The Earth ‘, I took some ideas of shapes. Then the main lines were drawn on a piece of cardboard measuring 15×15 inches. 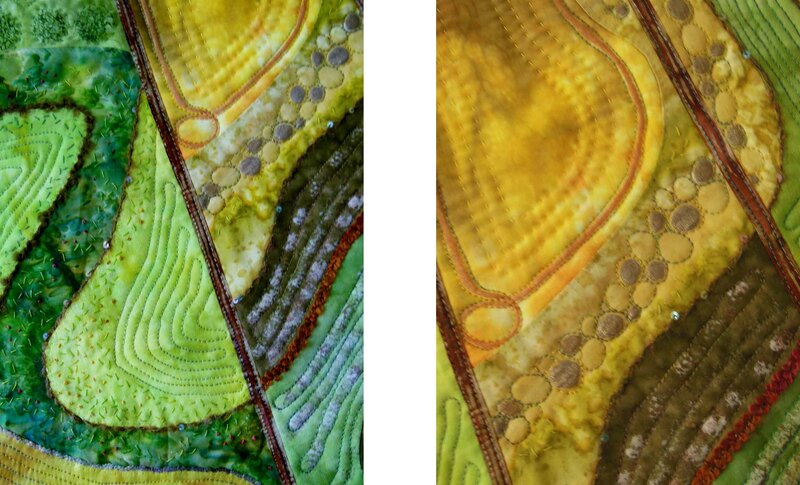 Sewing method : I have chosen Katie Pasquini-Masopust’s method used for her fractured landscapes : in each part the different pieces are appliqued on a foundation (here freezer paper) with invisible thread using zigzag. The freezer paper is removed at the end. 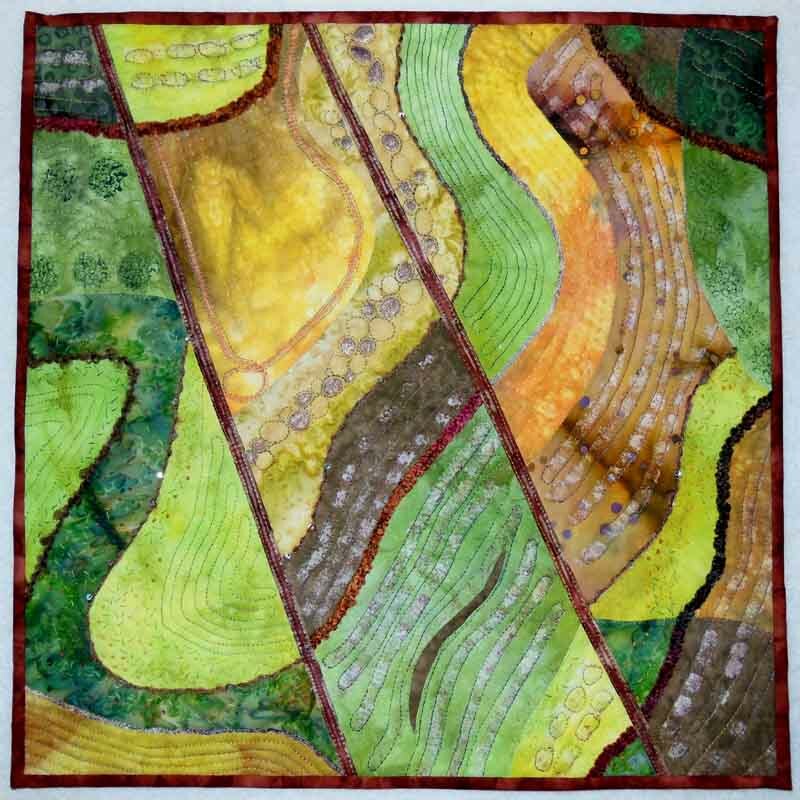 The different paths and furrows are suggested with appliqued yarns and threads. The quilt is mostly free motion quilted. 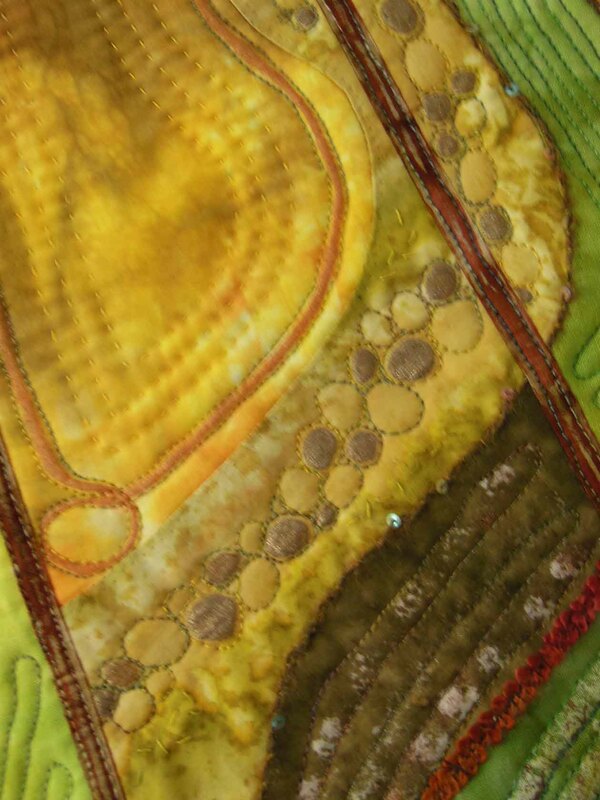 In some areas I added some embroderies to suggest grass and give life. I also used some discharge paste to give the impression of freshly ploughed soil and furrows, and to add some irregularities in the composition. Prints : with acrylics on compressed sponge I suggested trees. I have mixed my own handdyed fabrics with some batiks.